Sew in Tune Series Announcement! Good Monday morning! I am so excited that I finally get to announce this. Back when I was scheduling posts for the (30) Days of Sundresses Series, I realized that we were totally neglecting the boys for a whole month…and something had to be done about that. So I started emailing the bloggers I knew who sew for boys, and this series was born. Then, another great thing happened. One of the bloggers I had emailed – Stacey of Boy, Oh Boy, Oh Boy! emailed back and asked if I wanted a co-host! Hooray! Stacey has been awesome at helping organize, brainstorm, and generally make this series SOOOOO much better than if I had done it on my own (like her button above). So, this series is for the boys! You might be wondering why we’re calling it Sew in Tune. Well, that was a brainstorm between Stacey and I to have every outfit be inspired by a song. So stay tuned (ha!) for the musical inspiration behind our boys outfits. I’m also excited that in this series I get to have some favorites from the (30) Days of Sundresses series back, some awesome big bloggers new to guest posting here, and I get to introduce you to some up and coming bloggers. A great mix of talent! (I warned you about the exclamation points). So, without further ado, here is the series schedule. Stacey and I will alternate hosting the guest post, so on the days it’s not here, I’ll have the link to her site up so you don’t miss a thing. July 24 – Boy, Oh Boy, Oh Boy! August 16 – Boy, Oh Boy, Oh Boy! And this one takes you to Boy, Oh Boy, Oh Boy! Really looking forward to boy stuff! My son is 9 and n olonger lets me sew clothes for him. 🙁 So, I have been trying to do other things. I will plan to do my boy stuff at the same time you are doing yours. I will be watching! Oh wow, I have been planning a very similar series and was surprised this hadn’t been done already, but I guess it will be now. So I definitely have an idea to sew along with and funnily enough my outfit idea for my eldest boy includes a blazer using your pattern. Looking forward to it! I’m really excited for some boy clothes! I just had my baby boy (after only having a little lady for 4 years) & sewing for him has been, well… not so existent. Thanks for doing a boy series! I am also so excited to be a part of this – thank you so much again for including me!! I can’t WAIT to get some inspiration for my little guy! 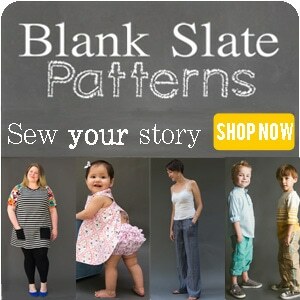 I can’t wait to see your ebook of patterns too – it sounds awesome, and I LOVE that tank!!! I’m so looking forward to this! I’m running dry on boy ideas– and my son has started taking stuff that I sew for my daughter! I don’t do enough sewing for my boys & this is a great motivation. I am working with a brand to build an engaging content community that covers topics relating to parenting, fitness and health, recipes, fashion, beauty, home decor, party planning and crafts. We’ve taken a read through your blog and we think you’ve done a fantastic job covering topics that our brand’s audience would also be interested in covering. It would be great if you could join our community to help educate, inform and converse with those other parents who are writing about this topic. Such a great idea. Look forward to this! 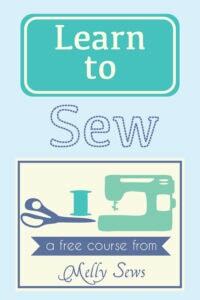 Thanks for having me in the midst of all that sewing talent! I feel honored to be part of the up and coming group!!! oh Yay!!! I only have boys, this is great!! !